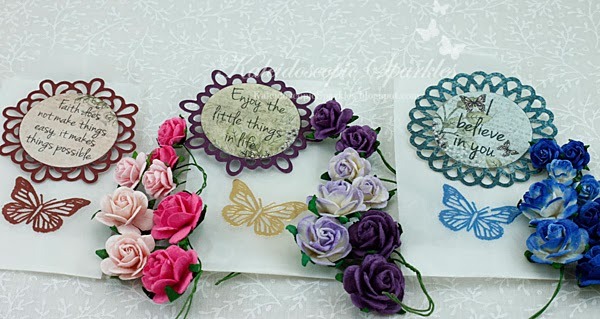 Sneak Peek Day #5 - Tiny Doilies 2 and Simply Sentiments! Welcome to Day #5 of our stamp release party. Today is our last 'sneak peek' day, so that means the blog hop is tomorrow! Tomorrow is also the day that all of the new sets will be available to order. Yay! My design team has created even more awesome projects for you today. Haven't they done a great job this week?! Robin has designed another set of gorgeous Tiny Doily metal dies plus a stamp set filled with sentiments that fit perfectly inside the center of these pretty doilies! They will definitely be on your wish list!! *Throughout the week we will also be incorporating the new Big Words metal die set into our projects. These Tiny Doilies are the perfect size for 3x3 inch cards. I adhered everything with lots of dimensionals in between the layers. I distressed the edges on this card and inked all of the pieces with Walnut Distress ink. I love the 'stitching' on this fun scalloped Doily! The new Tiny Doilies 2 metal die set coordinates with the original Tiny Doilies metal dies. You can use each alone, but they are so much better together! I distressed and inked this card as well. 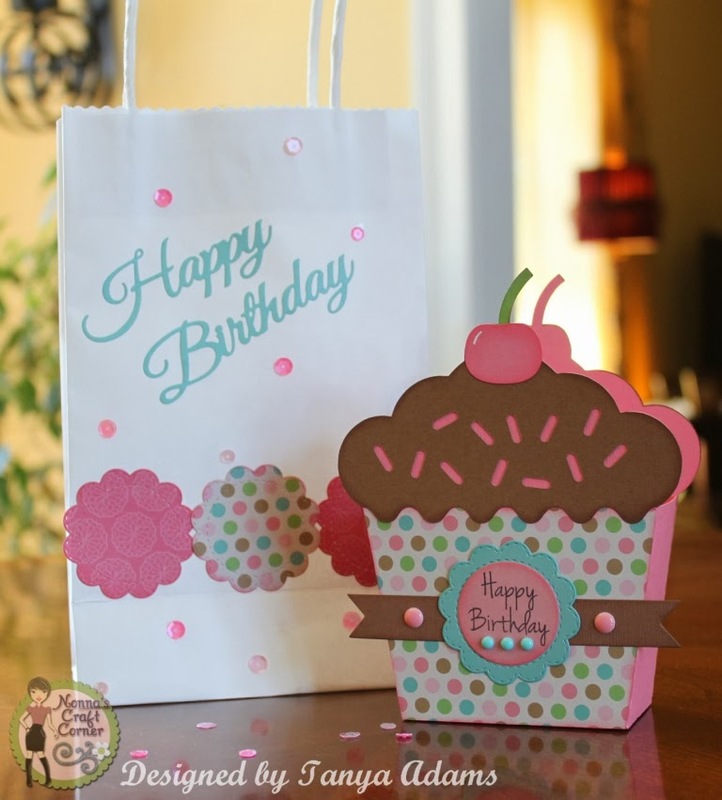 I love Sherrie's cute cupcake shape card! Those sprinkles look yummy! Karen's tags are gorgeous! I love how delicate this new set of Tiny Doilies is! So pretty! 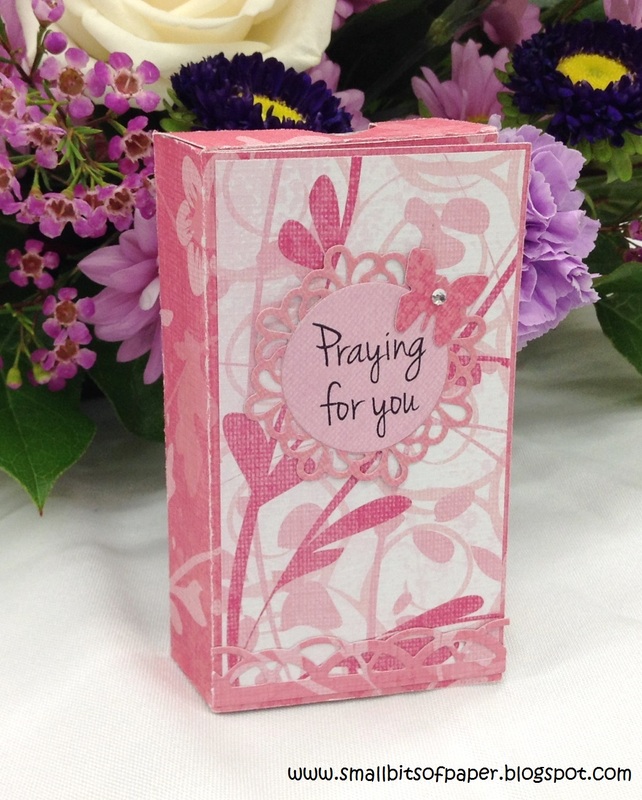 Kate's tissue box is beautiful! 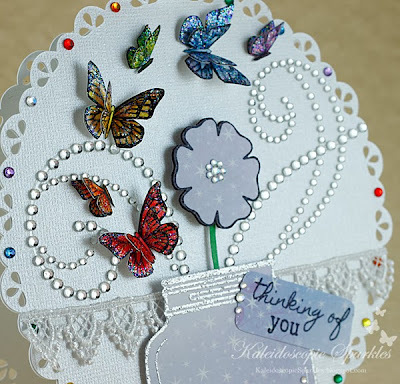 I love her sweet doily with the butterfly and the papers she chose are so pretty! What a thoughtful gift. Gwen's treat boxes are wonderful! What a great idea to use the doily as a flower! I love the velcro closure too - so smart! 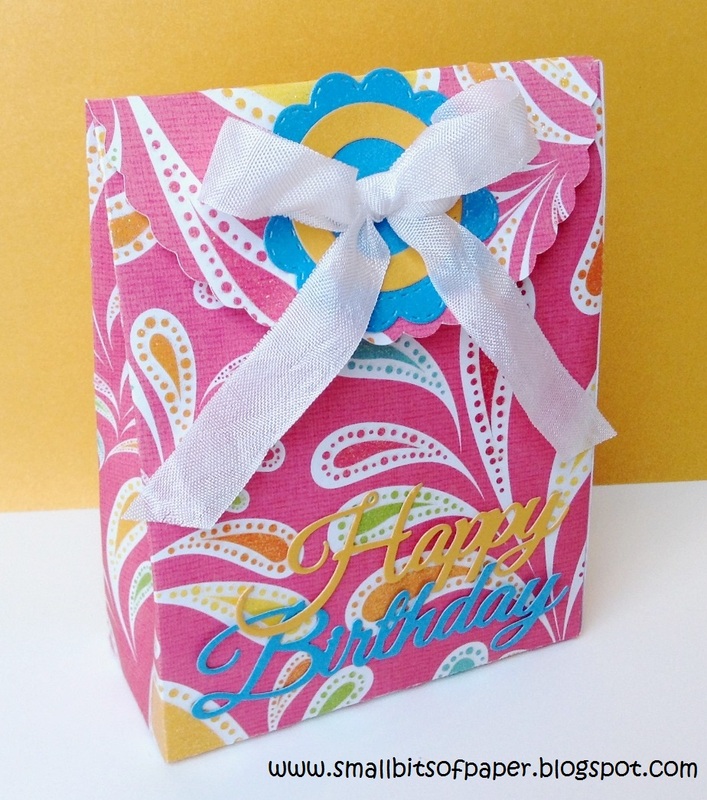 I love the fun colors Kate used for her gift bag - so cheerful! 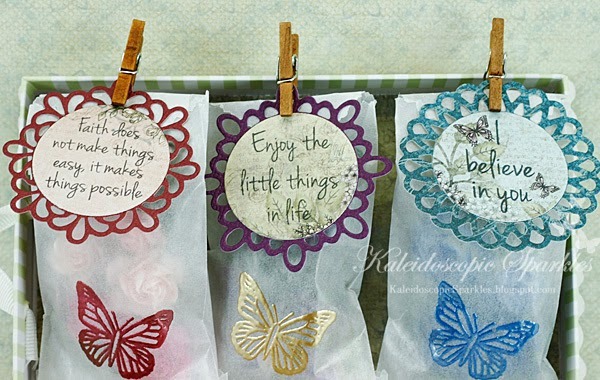 I love how Heather used the clothespins on her doilies! Gorgeous card!! 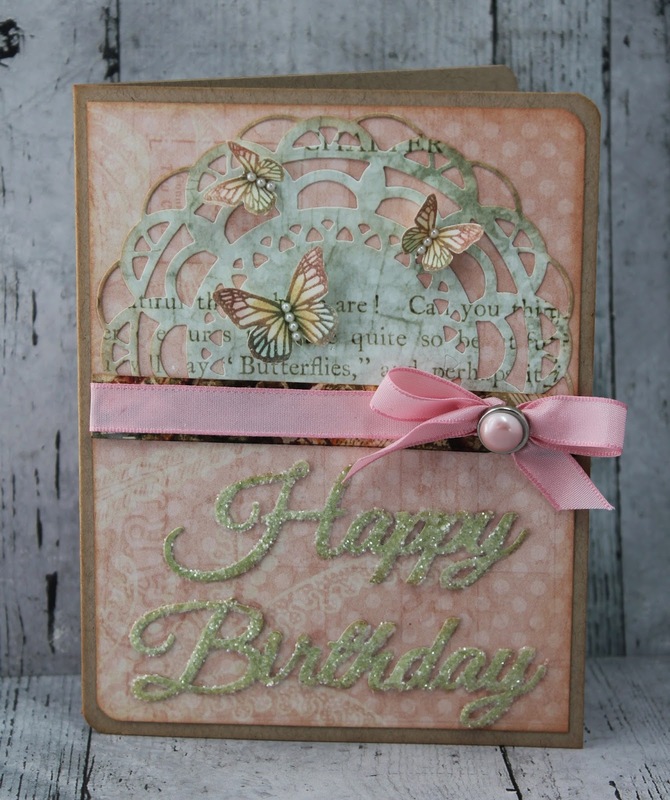 Sherrie's card set is so pretty! What a great gift idea! Ally's cards are so fun! I love the colors and patterns she used and, of course, the pretty doilies! Ally's musical Happy Birthday card is beautiful! I love how she layered her Big Words die cuts! I love these little doilies Robin designed! Pretty card set! What a fantastic week this has been! See you back here tomorrow for the Blog Hop!! I can't wait to show you all of the new stamp and metal die sets! Need more inspiration right now? Click HERE to enter the Gallery! Sneak Peek Day #4 - Jar Full of Flowers! Robin has designed another gorgeous stamp set to go with the Jars collection. 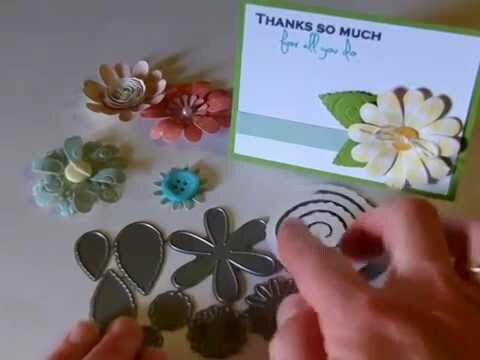 This stamp set is full of all of the pieces you need to build your own unique bouquet of flowers! 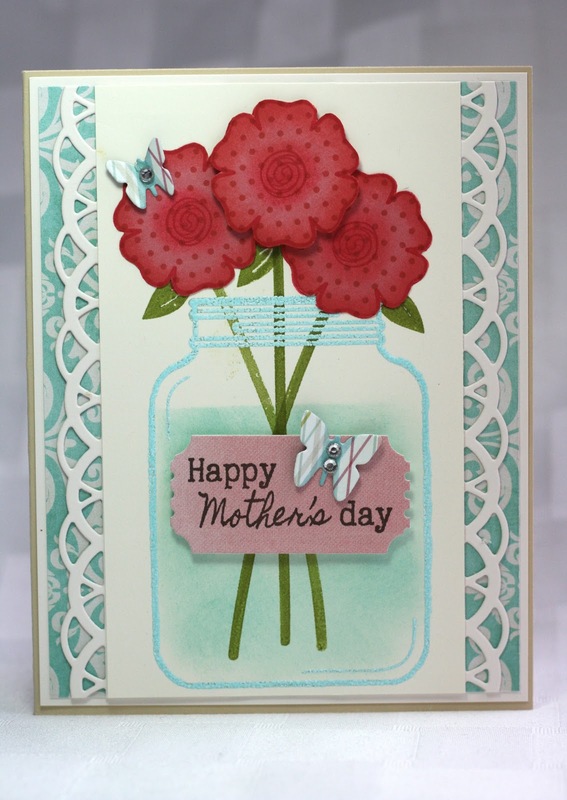 Today's set is the Jar Full of Flowers stamp set. I poked holes in the cardstock and then threaded the jute string through before tying a bow. 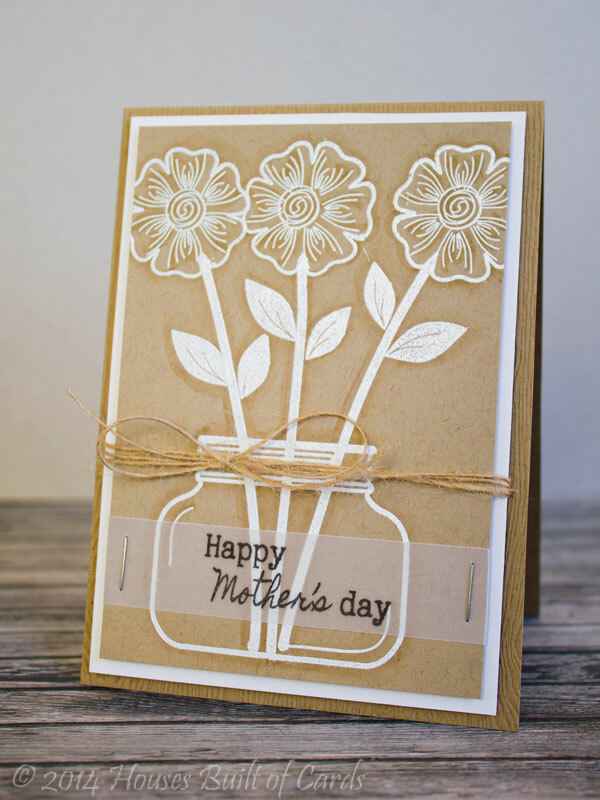 All of today's projects use the Jar Full of Flowers stamp set. Ally's flowers are beautiful! I LOVE the 'water' in her jar - so pretty! Heather's jar full of flowers is gorgeous! 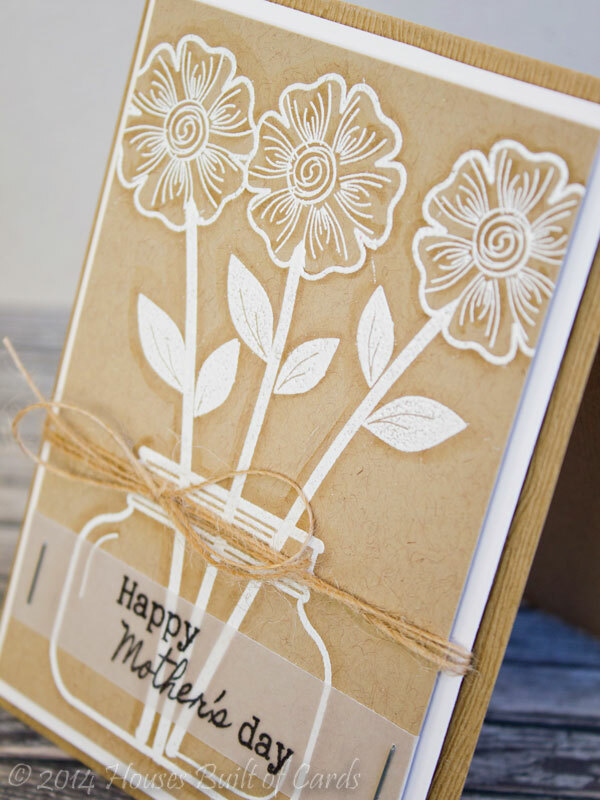 I love the white on kraft color combo - really pretty! 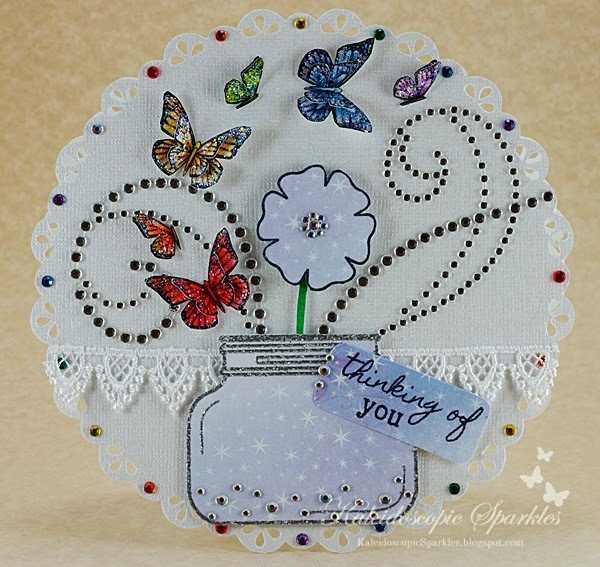 Gwen's butterflies looks look stunning on her inked doily! Wow! Yes, these butterflies are part of this beautiful stamp set! Tanya's flowers look gorgeous! I love the papers she chose and that touch of lace! Just beautiful! Kate's card is so fun! 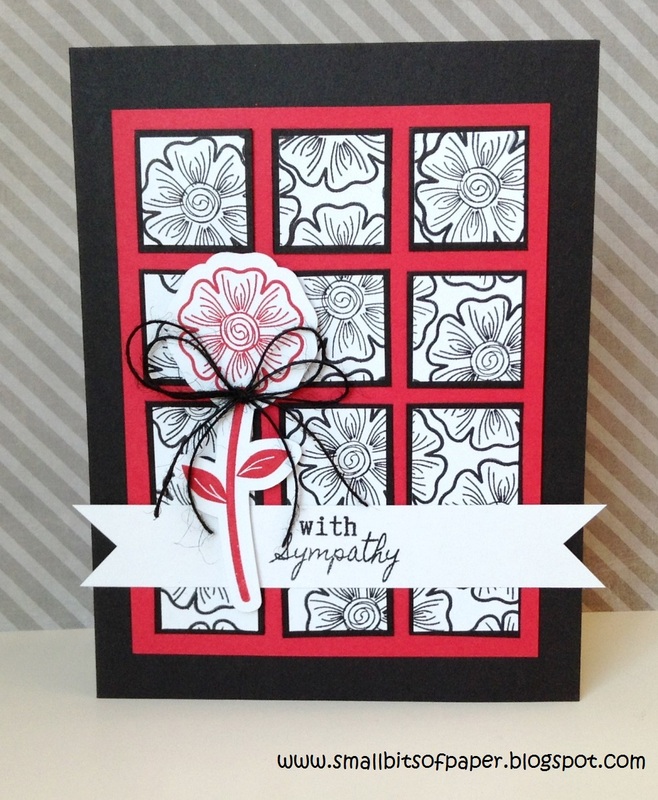 I love the flower pattern she made for the background and her colors are so striking! I love the way Kate filled her card with these pretty flowers! What a fun technique! I love the beautiful stitching on Sherrie's card! Her fancy border is pretty too! Robin's flowers are sooooo pretty! I love the sweet pearl in the center and her cute tag! Karen's card is gorgeous! I love her shimmery butterflies and gems! Tiny Tags metal die set! Be sure to come back tomorrow for a sneak peek of the Tiny Doilies 2 metal dies and the coordinating Simply Sentiments stamp set! Sneak Peek Day #3 - Scrapping Life - Calendar! Sneak Peek Day #2 - Scrapping Life - Everyday! 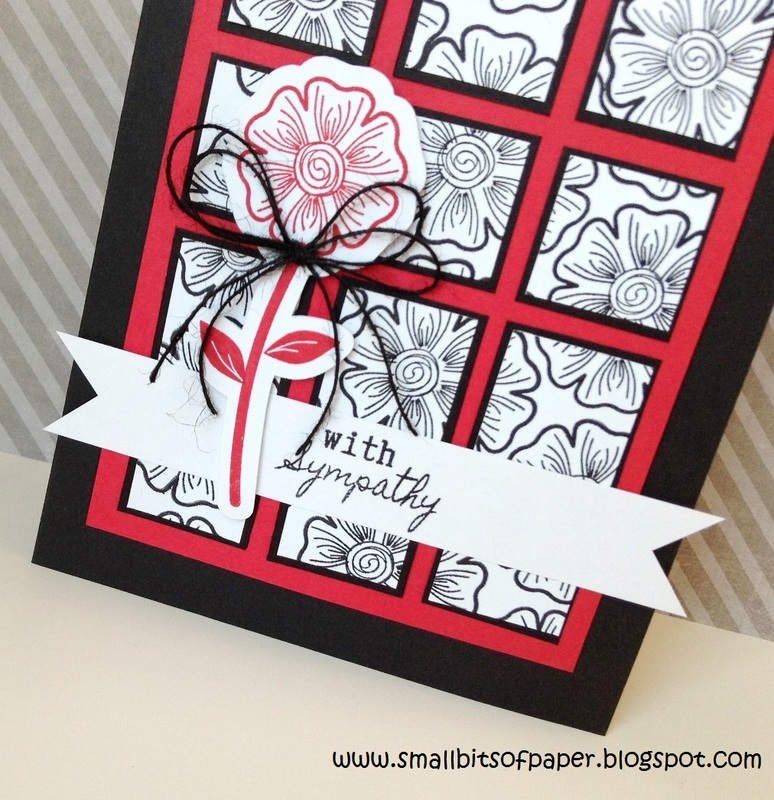 Sneak Peek Day #1 - Big Sentiments 2 stamp set! DT Post by Sherrie - Bee Mine! Winners from Challenge #126 - Sketch Challenge!! Monday Challenge #127 - Fun with puns! 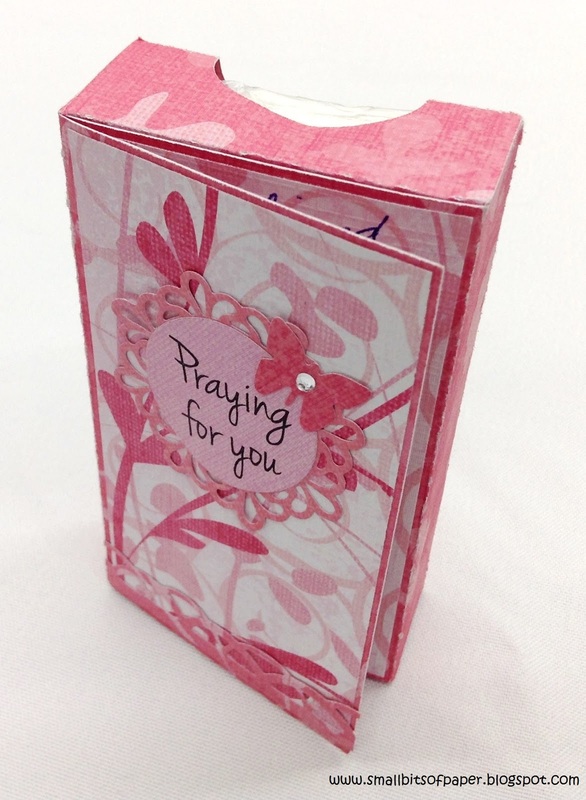 Guest Designer - Kristin from Paper Creations! DT Post by Sherrie - Snail Mail! DT Post by Gwen - Darling pink treat boxes! DT Post by Ally - Sweet Fish Valentines! Monday Challenge #126 - Sketch Challenge! DT Post by Gwen - Cute bags and card set! Guest Designer - Tracy MacDonald! DT Post by Heater - Fun Winter Scene! DT Post by Gwen - Conversation Heart Boxes! DT Post by Robin - Videos!! DT Post by Sherrie - XOXOXO! Monday Challenge #125 - Valentine's For Kids!